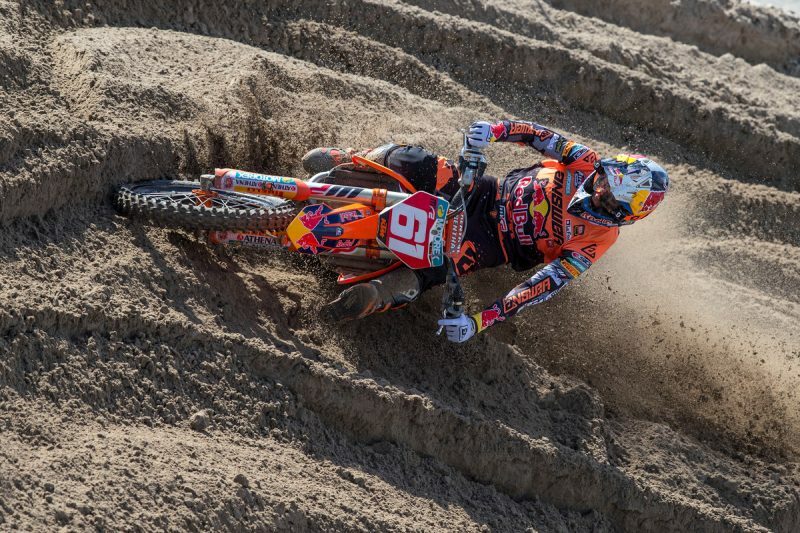 Jorge Prado experienced a perfect weekend in Assen and the battle in MX2 seemed to have been decided. 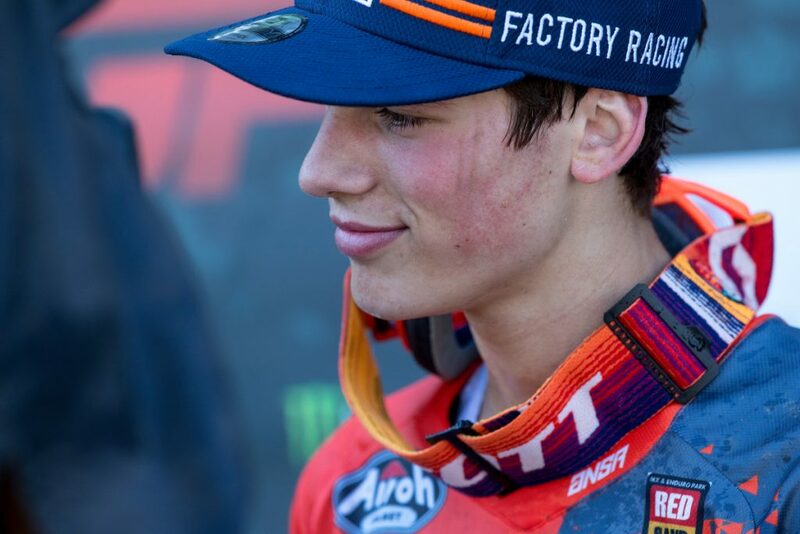 In the far north of the Netherlands, reigning world champion Pauls Jonass had the opportunity to reduce his 24-point deficit, but an injury sustained at the Grand Prix of Turkey, a crash in the first moto in Assen and finally the surgery made it impossible for the 21 year-old Latvian to defend his MX2 world championship title. The crown is passed to a talented young man from Lugo, Spain. 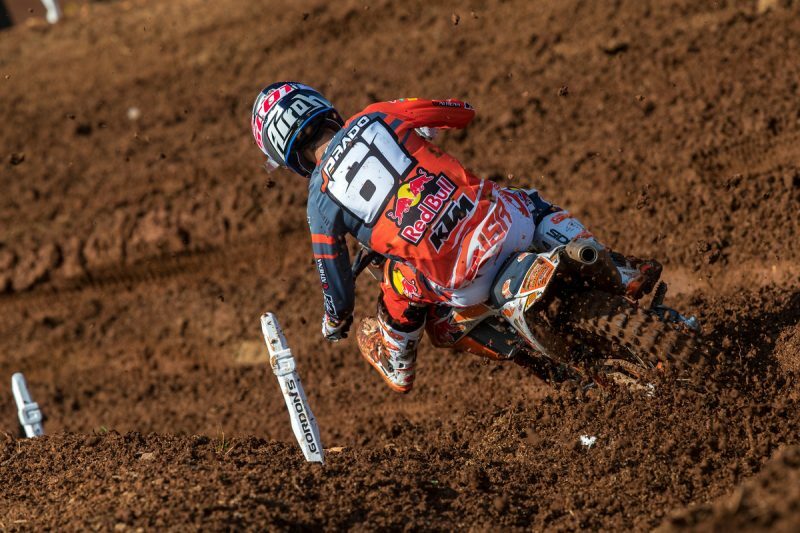 Jorge Prado has been recognized for many years as a major motocross talent, and that’s no surprise. At just 17 years of age, the Spaniard’s well stocked trophy cabinet already contains several important prizes. So it doesn’t feel strange for him to be world champion; after all, at the tender age of 10, he won the world championship title in the 65cc class. And he didn’t stop there: in 2015 he also claimed victory in the EMX125. The route to major success doesn’t seem far away for the Red Bull KTM Factory Racing rider. After making his Grand Prix début in 2016, it was only a year later, during the fifth race weekend of the season, that he managed to secure his first victory. 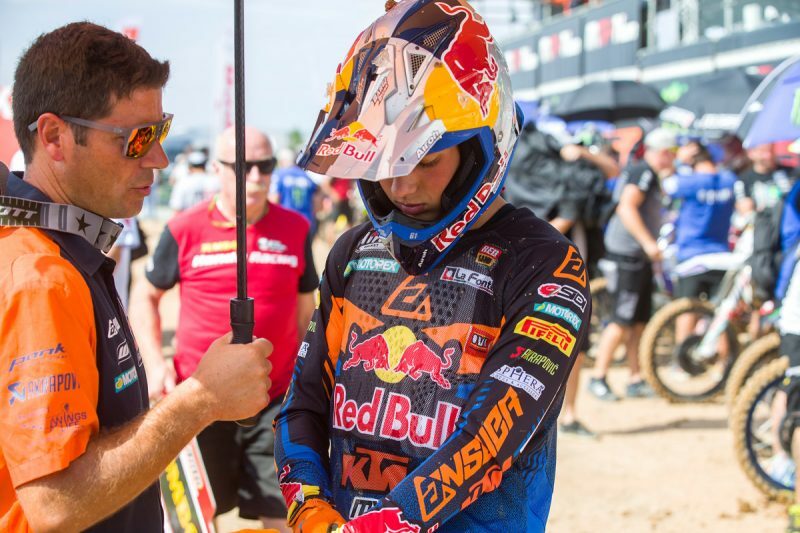 A MX2 world championship title fits perfectly in the success story of Prado. To get to know the new world champion a little better, we sat together with him while he talked openly about the MX2 title, his native country Spain, and his dreams for the future. 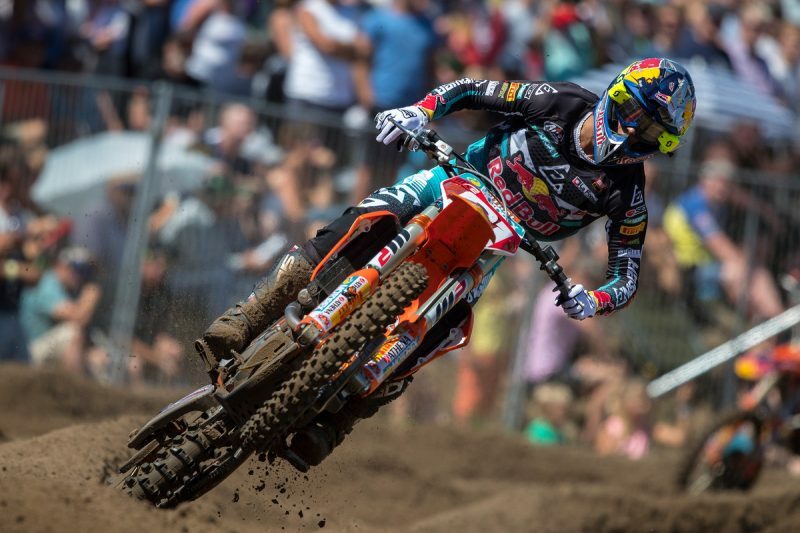 Had you expected Pauls Jonass to perform less strongly in Assen? You’ve already been world champion, in the juniors. Do you feel the same kind of pressure now? Last year you were seventh in the final ranking, and now you are world champion. A huge step forwards. Is that purely down to the experience, that you’re now getting better results? And that’s no longer the situation this year? And now the time has come, your first MX2 title! It’s been a considerable sacrifice for you and your family, leaving your home for your dream. What things were the most difficult to adjust to? Do you sometimes miss Spain? Now we’re talking about your native country, that’s where your love of motocross began of course. How exactly did you discover the sport? You were successful in motocross pretty quickly. Who was your trainer in Spain? Is it true that you also once tried your hand at road racing? Marc Marquez also started out in motocross, but eventually switched to road racing. That branch of motorsport gets a lot of attention in Spain. Is there still room left for you in the newspapers and magazines? Would you like to actively work on that, on raising the sport in Spain to a higher level? Who were your idols when you were a young kid? Back to the present. In an earlier interview you mentioned that, after winning the MX2 title, you’d like to go to the U.S. to race there. Is that still the case? But still not completely out of your mind?